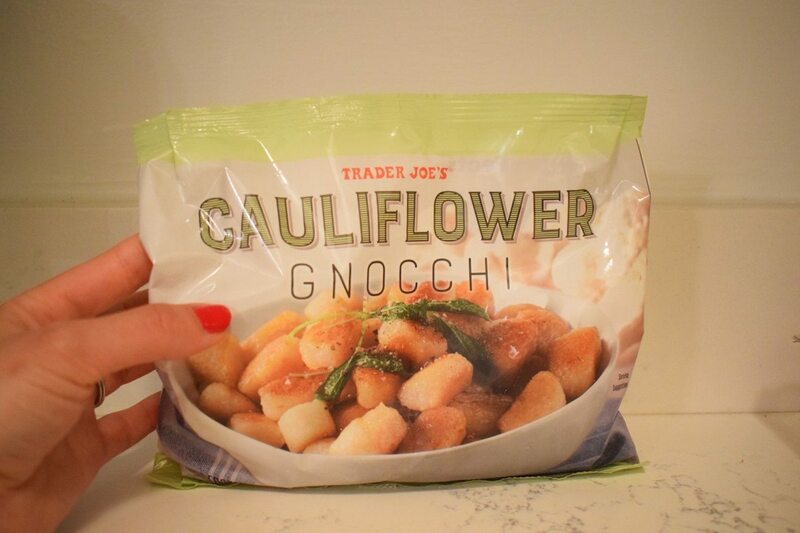 Everyone's talking about Trader Joe's Cauliflower Gnocchi, but is it really worth the hype? How do you cook it? What do you pair it with? Find out here! I finally decided to jump on board and give the Trader Joe's Cauliflower Gnocchi a go. I have been hesitant to try it because well, it isn't organic, and I strive to eat organic food whenever possible. However, I freaking love gnocchi and since cauliflower is one of the clean 15 (least likely to contain pesticide residue), I went for it. But did it live up to the hype? Here's my breakdown. Cauliflower, Cassava Flour, Potato Starch, Extra Virgin Olive Oil, Sea Salt. Relatively clean ingredients with no additional fillers or additives (which I would expect for that "gnocchi" texture). NOT low carb. For my Keto friends, don't be fooled into thinking this one is for you. One serving of cauliflower gnocchi will set you back 22 carbs per serving. NOT organic. Although cauliflower is on the "clean fifteen" list, the gnocchi is not organic or GMO-free. Totally dependent on how you cook it and what you pair it with. 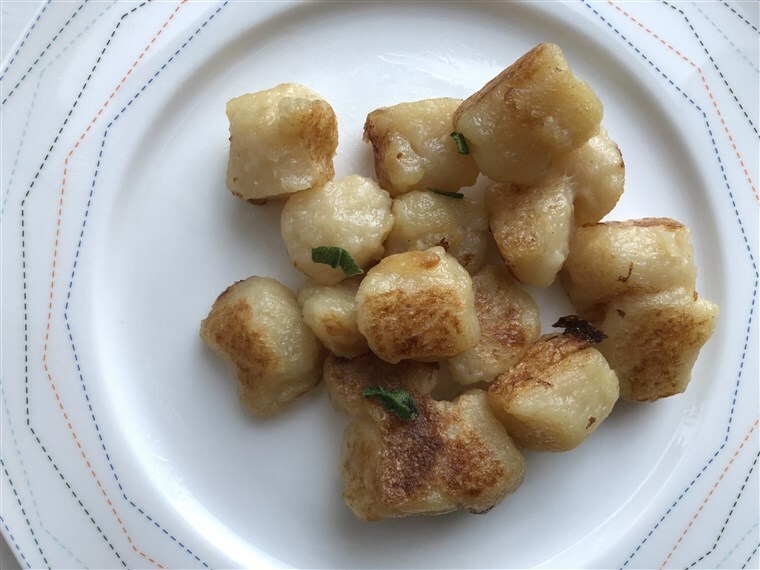 From doing some light research on the product, I gathered that there are several different ways of cooking this gnocchi. I decided to split the bag into three and try three alternate methods to determine which one works best. Spoiler alert, this was by far my favorite. Simply pop your frozen cauliflower nuggets into a pan, add seasoning, and skillet away until they are soft and fluffy. This method gives the gnocchi a slight crisp to the outside- which I loved. Max compared them to toasted marshmallow texture. This method is the same as the above, but requires covering the gnocchi with 1/4 cup of water over a medium heat. The result isn't terrible, but I prefer the crisp exterior from the first method. I didn't enjoy the boiled cauliflower gnocchi. It was slightly mushy and some of the gnocchi nuggets fell apart. Scroll down for the most delicious cauliflower gnocchi recipe ever. Priced at just $3 per bag, this is definitely a budget friendly staple. Although there isn't necessarily a ton of nutritional value to the gnocchi, it's a good "bulking" ingredient. When paired with veggies and a high-quality protein, it makes a fabulous balanced meal. Let's be honest. This doesn't taste exactly like Gnocchi, but I have to say that Trader Joe's did a pretty good job replicating this popular pasta with a healthier cauliflower substitute. Would I buy this again? Yes! It was delicious and hit those carb cravings right on the head. I highly recommend trying this gnocchi with my dairy-free shrimp alfredo recipe below. 1) In a small skillet over a medium heat, warm your gnocchi. 2) Meanwhile, in another skillet add butter (or cooking oil of choice) and let melt over a medium heat. 3) Add garlic and shrimp. Saute on medium heat until shrimp is cooked through. Transfer shrimp to skillet with gnocchi. 4) Whisk in the arrowroot flour to the garlic butter sauce, and then add the coconut milk. 5) Bring the sauce to a simmer whisking occasionally, until it thickens, about 3-5 minutes. 6) Add spinach, nutritional yeast and seasoning. Cook over a low heat until spinach has slightly wilted. 7) Transfer warm gnocchi and shrimp to bowls and pour a generous serving of Alfredo spinach sauce over the top. Mix, serve, and enjoy!